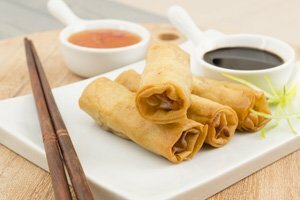 There are many styles of cooking in China, but Chinese chefs have identified eight culinary traditions as the best. These have set the course of how Chinese cook food, and are looked to as models. Each of these schools has a distinct style and different strengths. 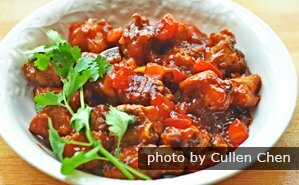 Sichuan and Hunan cuisines: hot spice. Guangdong (Cantonese), Zhejiang, Jiangsu cuisines: great seafood, and generally sweet and light flavors. 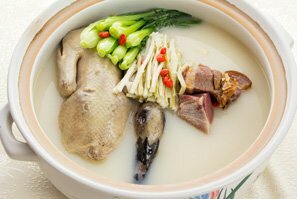 Anhui and Fujian cuisines: inclusion of wild foods from their mountains. Making a great variety of soup is a feature of Cantonese cuisine. 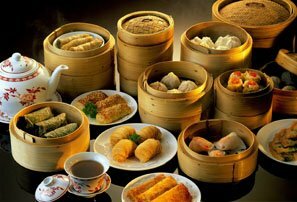 Cantonese food is the most popular style internationally. Guangdong Province and Hong Kong are noted for fine seafood dishes and rice dishes. Su cuisine features sweet foods. 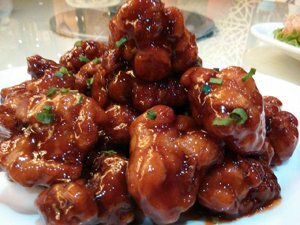 Sweet and sour spare ribs is a famous dish from Jiangsu. 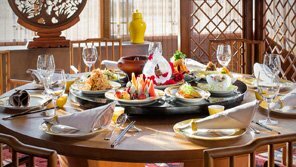 Jiangsu Province and China&apos;s biggest city, Shanghai, have a very refined gourmet cuisine that is often served at government banquets. Mellow, using fresh seafood, freshwater fish, and bamboo shoots, and a wide variety of cooking methods. Zhejiang Province is the province south of Jiangsu, and it borders on Shanghai too, so their style is similar to theirs, but it is less elaborately prepared. They focus more on serving fresh food. People in the Hunan region can&apos;t seem to live without chilies; no dish is complete without chilies in Hunan cuisine. 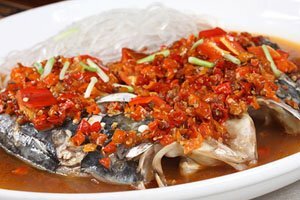 If you like Sichuan food, you&apos;ll probably like Hunan food too since it is even hotter. It is tastier and more delicious because they don&apos;t use peppercorn that numbs the mouth. 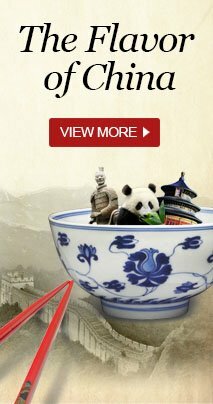 Shandong was one of the first civilized areas, and it set the pattern for northern styles of cooking. With a long coast, seafood is its forte. 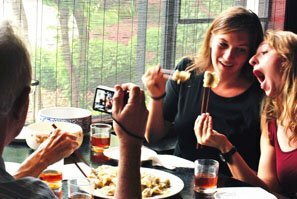 12-Day Beijing, Xi&apos;an, Chengdu, Guilin, and Hong Kong Cuisine tour — This tour explores the most popular destinations in China and savors five different regional cuisines. Tailor-make a Chinese food tour by telling us your interests and requirements.